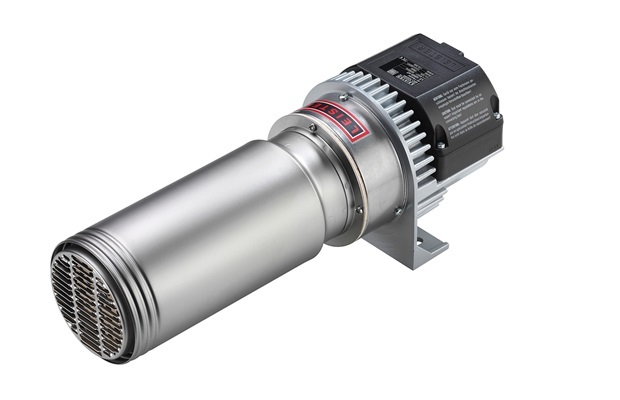 The high temperature air heaters are suitable for temperatures up to 900 °C. The devices have no integrated power electronics. The outlet air temperature can be steplessly controlled by adding a Leister three-phase controller (DSE). In addition to a DSE, the air temperature can be precisely regulated with a KSR DIGITAL controller.